 Your Field Trip to Old World Wisconsin will include a 1 hour lunch break. While this may seem long, we know that sometimes buses get delayed and restroom breaks take longer than expected, so this time serves as a “buffer” to get your group back on schedule. We also provide several different activities to keep your students busy and having fun when they are done with their lunches. This includes historic games like “Hoop and Stick”, a quilt design challenge, and Old World Charades. These are provided free of charge and will be available in your designated Picnic Area. Please note students must bring their own lunches. Refrigeration is not available and the cafe will not be open for Field Trips. While we always try to have schools eat in the same Picnic Location, depending on the specific programs your students are doing, lunches may not be at the same time or place. Your final Field Trip Itinerary will include a Picnic Location details so that you may plan accordingly.